Police investigating historical allegations of abuse related to football in Cambridgeshire have arrested a man. Detectives arrested the man at a property in Cambridge this morning (Friday January 27). 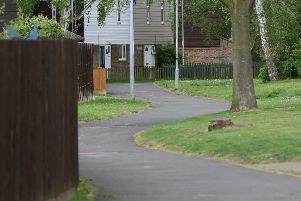 The man, who is in his 70s, has been arrested on suspicion of indecency with children and indecent assault. He is currently in custody. Officers are working closely with partners, including the Football Association, the local children’s safeguarding boards for Cambridgeshire and Peterborough, Cambridge and Peterborough United the Cambridgeshire and Peterborough Clinical Commissioning Group and Cambridgeshire county and Peterborough city councils. Officers would encourage anyone with concerns about these allegations to contact police on 101 or the NSPCC on 0808 800 5000.